Yes! 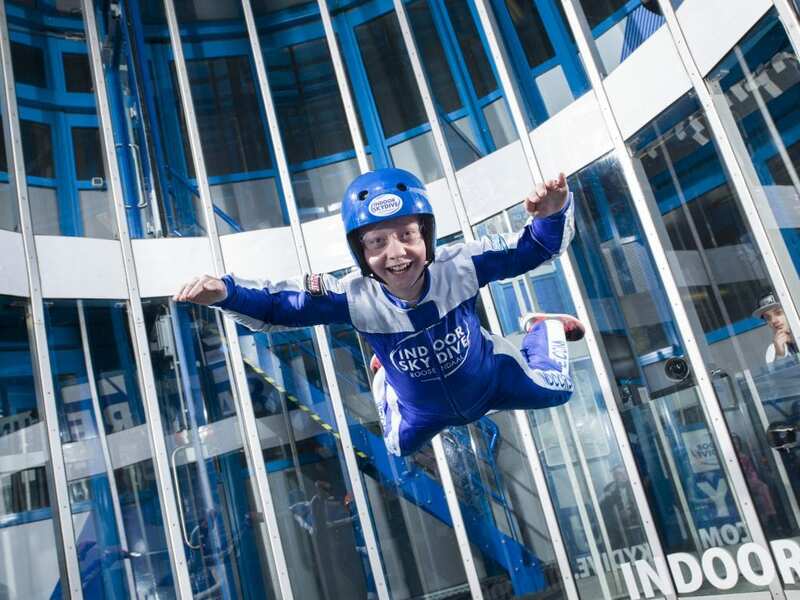 You’ve experienced indoor skydiving and want to get more. Cool, you’re official one of our frequent flyers! The adrenalinekick is addictive and you want to get more. What’s next? Indoor Skydive Roosendaal has special options for beginners or fanatics. Get Your Wings®, Share the air, visit our events, follow one of our trainings or get coaching by the best coaches of the Benelux. Also, we’ve got special prices for frequent flyers. Come fly with us! Indoor Skydive Roosendaal is the perfect training facility to learn new skills or to improve your skydive skills. 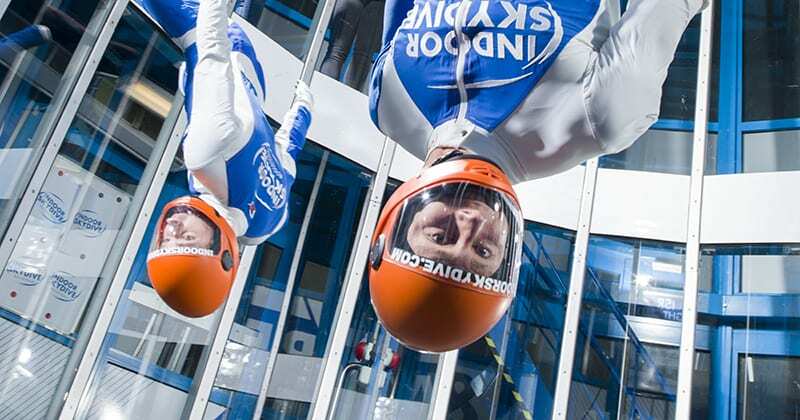 Indoor Skydive Roosendaal’s wind tunnel is the place for training, for all types of disciplines. Thanks to the carefully-controlled airflow (with variable adjustment), you can fly through the tunnel at a speed of 275 kph (170 mph) in every dimension. The wind tunnel’s diameter of 14 feet (4.27 metres) is more than enough to comfortably train a FS-4 team. 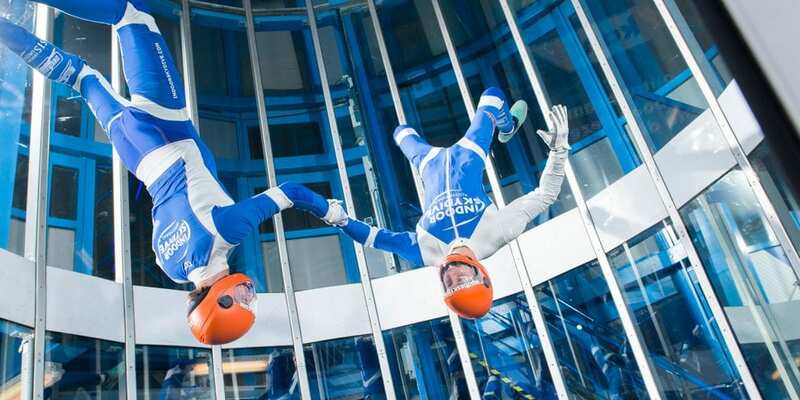 Why wind tunnel training at Indoor Skydive Roosendaal? Indoor Skydive Roosendaal offers skydivers a unique place to train. Nowhere else in the Benelux will you find a wind tunnel like the one in Roosendaal. Equipped with all the facilities, like a teamroom, creeper area and a debrief monitor in the wind tunnel. Naturally our instructors can supervise you at every desired level during training, to improve your skills. Would you like to learn more about specific personal training in the wind tunnel, or courses? Then get in touch with us. Indoor Skydive Roosendaal offers indoor skydivers the unique enviroment to train. In addition, we offer special rates for frequent flyers! After getting your wings, you can participate a training such as Share the air and Free Fly FUNdamentals. Learn to fly together indoors or learn the principles of free flying. We also offer special AFF training. Take part in one of our unique indoor skydive events! Monthly there are interesting events to meet other indoor skydivers, have fun and work on improving your skills! Check out our event calendar! 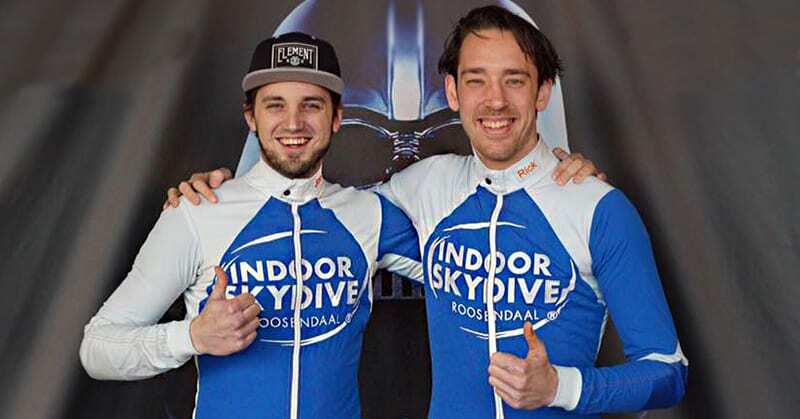 Indoor Skydive Roosendaal works with the best indoor skydive coaches of the Benelux and will gladly assist you in improving your skills. From September 2017 we will start with a unique project: the Kids and Teen Fly Pro Project. With a group of fanatic indoor skydive talents, we train to make as much progress as possible. An unique project in the Benelux!